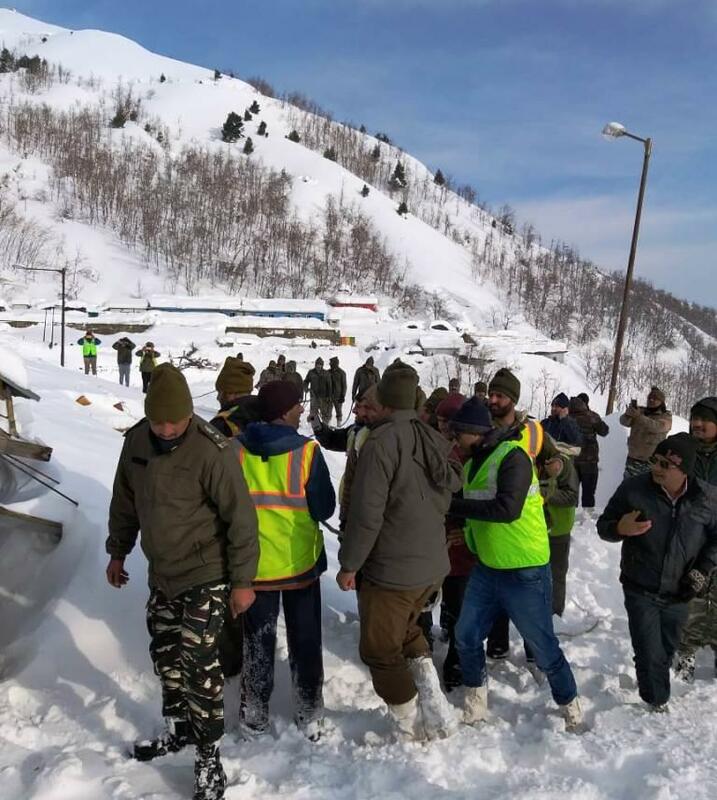 Srinagar, Feb 9: Search and rescue teams recovered a body on Saturday from the Jammu-Srinagar highway, after an avalanche in the area trapped 10 people, police said. "The body of selection grade constable, Parvaiz Ahmad, was recovered today from the Jawahar Tunnel area," police sources said. The avalanche hit a police post near the Jawahar Tunnel on Thursday. The 10 people comprised eight police personnel and two prisoners. The rescue teams saved two police personnel on Friday, while seven bodies were also recovered. With the recovery of Ahmad's body, the toll in the heaviest snowfall in Jammu and Kashmir this season increased to 14. Besides the Jawahar Tunnel victims, two more people were killed in landslides in the Ramsoo-Ramban sector of the highway. A couple and a man were buried alive on Friday in two separate avalanches in Anantnag district. On Saturday morning, a seven-year-old was killed by heavy snow that slipped from a rooftop in Chrihar village, on the outskirts of Sopore town.